For centuries, people have used the tarot to help them gain access to spiritual knowledge and explore universal truths. You don`t have to be spiritually inclined to get something out of the tarot. 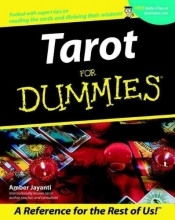 Who Uses the Tarot and Why? History and Mystery: Where Does the Tarot Come From? Tarot Spreads Aren`t for Sandwiches!